It’s an interesting proposition – the idea that people universally hate lawyers. Oftentimes, I happen to believe, lawyers are hated as a result of misdirected anger. 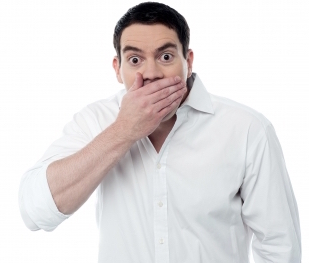 We’re the face that opposing parties put on the less-than-courteous actions of our clients. 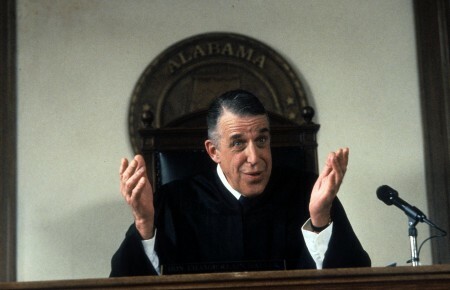 Sure, it might be the bank that’s throwing me out, or the doctor who injured me, or OJ who (allegedly) murdered his wife, but it’s the lawyer whose face we see. But one of the highest on the list (and growing in prominence recently) is the way we do our job – and how that ends up costing our clients more. The result is a steady change in the way law firms are expected to do business, with greater efficiency, transparency, and communication. But even major companies don’t achieve those kinds of goals through sheer will. They use sophisticated project management tools and systems, put in place over time. 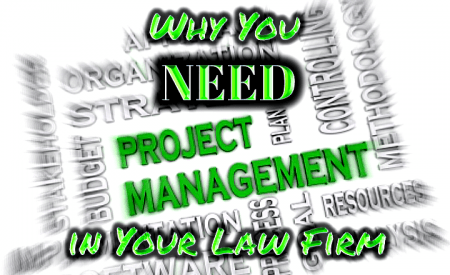 So why haven’t law firms implemented legal project management? There is no good answer, because you need it. Why Do You Need Project Management? For the most part – and most of the important parts – they’re the same. Wait. Ok, let’s go back to the snowflake analogy for a second. Even if the crystalline shape of each snowflake is unique, they all share certain important properties. They all consist of frozen water. They all fall from the sky. They only fall in certain temperatures. They only fall from clouds. They’re white. So, apart from the one way in which they’re all unique, they’re entirely identical! Your clients are like that too. While their individual case may be unique, that might just mean that the names are different than a previous matter. Regardless, unless you’re taking on an area of law you’ve never tried before (with the client’s written consent, hopefully), you’ve done this case before. So why reinvent the wheel? When there are so many ways you could streamline your practice to get the same (or, arguably, better) results, what reason do you have to refuse to do it? Ok, now imagine telling your client that reason. Better yet, imagine telling your state bar ethics committee that reason. Automating your processes using project management will make you a better lawyer, if for no other reason than you’ll actually understand how your law firm functions. That project you farmed out to an associate – you’ll know the status. Drafting the brief that’ll accompany an important motion – you’ll know what has been researched, what has been written, and whether you’ll meet the court’s deadline. I’m smiling because the Stockholm Syndrome has started to kick in. You’ll also be able to track all of that information. Each case will have a workflow based on your historical practice. Since most of your cases will at least involve performing similar tasks, you’ll have a detailed reporting of how long it really takes for those things to be completed. I can’t even tell you how many times I’ve looked at a pre-suit analysis report from an insurance client asking us to break down the new case based on how much time it will take to complete each task. Worse, I can’t tell you a single time that I’ve seen a completed form sent back with anything other than guesswork in response. Ballpark estimates, based on “experience,” but without any actual justification. A good project management system lets you create a realistic response to that request! More importantly, lets say your historical data says that your client’s demands that a certain task be completed in a certain time is unrealistic, you have support for your bills. If they want it in less time than you can do it, you’ll be able to tell them in advance (or figure out where in your workflow you’re losing too much time). Automating your practice is the future of the practice of law. It’s a fact. But lawyers shouldn’t look at automation as the next thing they have to do, grudgingly accepting it but always hating it. It can really improve your practice. Fewer mistakes, happier clients, and a more efficient practice are all good things. In order to improve your practice, your project management system needs to have a task list that breaks a case down into its different components. Then, from each of those components, a list of sub-tasks shows the individual steps to be done. It also needs to track the status of each task. Remember how we were discussing the whole “snowflake” metaphor? Well, here’s where you need to account for the slight variations in your client, their case, or your practice. Oh yeah, and judges. Don’t forget the judges. Things happen that require you to adjust. You need to be able to make on-the-fly adjustments to your workflow without having to change the due date on every single sub-sub task on your list. Better yet, get one of the project management systems that does the adjusting for you! Communicating with your staff and other attorneys is critical in order to establish effective project management. Be it through email, personalized notes, group discussions/conferences, or instant message-like chat, project management requires discussion. Again, fortunately, all the major systems are going to offer you some type of communication. The more advanced issue involves how securely that communication is done. As we all know, email is probably the most popular ways for lawyers to communicate, but we do it pretty badly (and the security of that email is sorely lacking). Make sure that whatever project management system you use meets with your state bar’s requirements for security. A handy third-party vendor checklist, like this one, will help. Additionally, if you have the option to use third-party communication systems, opt for one that uses multi-factor authentication and end-to-end encryption. You’ll never be 100% hacker-proof, but you’ll certainly make it hard for them. We tend to think of a lawyer’s work in solitary terms, imagining that one person creates the work product for the client. Reality, as most of us know, doesn’t match that image. Legal work product is frequently the work of a team of lawyers, paralegals, legal assistants, and others. Allowing multiple people to work on the same document is becoming more important for law firms, with a strong emphasis on remote collaboration. Fortunately, a lot of the project management tools available offer some level of sharing and collaborating, but it’s not as prevalent as some of the other items on this list. Beyond just having access to shared documents, though, is being able to collaborate in real time. Real time collaboration can take on a few different approaches. Some platforms have a Facebook-feed like approach to projects, providing real-time status updates on what each team member is doing and the progress of your tasks. The other, and in my opinion better, approach is allowing real-time collaboration on documents. Some offer the ability to leave messages attached to specific passages of text, others store multiple versions of documents with “redline” versions available. I definitely suggest one of these options if collaboration is important to your practice. Most of the project management tools on the market will give you a basic look at how you perform against your goals. However, the project management systems that really stand out are the ones that provide historical analysis and show you where your workflows need adjustment. How often do certain tasks take a lot more or less time to complete than you estimated? 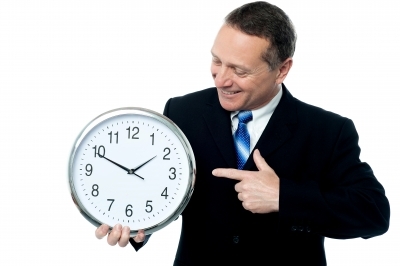 Which of your staff members or attorneys routinely takes longer to complete certain tasks? How often do you adjust your original workflow due to “unpredictable” events – possibly suggesting that they’re more predictable than you wan to admit? The best project management systems will automate this information, allowing you to make the appropriate adjustments. More importantly, the information provided will let you know where your practice can improve to provide better service to your clients. 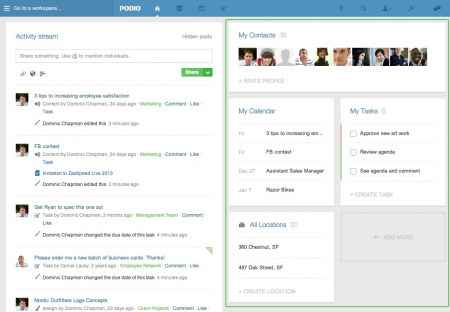 What is the Right Legal Project Management Tool? It’s really going to depend on your law firm. Various factors, including your law firm’s size, your practice area, and your typical clients should be taken into consideration. For some specific suggestions, come back tomorrow for my list of 10 Powerful Project Management Tools to Streamline Your Law Firm. Photo Credit: Photo by stock images. Photo by David Castillo Dominici.